An online tool for diagnosing ADHD, an algorithmic tool to identify foods that balance blood sugar levels, and a video and image database of surgery that links to the patient’s record are all solutions created by the three companies selected to join the UK Israel Dangoor Health Initiative, part of the IBM Alpha Zone Accelerator Programme. The three companies joining the UK Israel Dangoor Health Initiative were announced today as part of an event to launch the eighth class of this digital accelerator programme. The initiative was set up to help Israeli based start-ups reach new markets and grow their business. 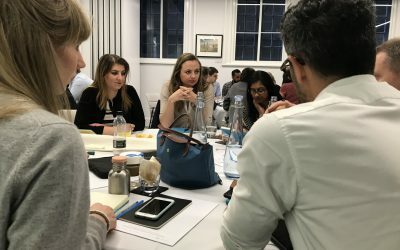 Following a robust selection process, the new cohort of companies has been chosen based on the potential of their healthcare solutions to benefit NHS patients and priorities. During the programme each company will benefit from mentorship, technical training and support, and IBM infrastructure. To help the companies gain knowledge and understanding of how to work with the NHS and the UK healthcare market DigitalHealth.London will pair the companies with an experienced NHS navigator who can share insights and support them to access the complex UK health system. Neurotech Solutions: Neurotech solutions have created MOXO, an online tool designed for diagnosis of ADHD. MOXO takes an innovative distractor approach to get accurate and substantial results. The tool scores four attentiveness categories – attentiveness, timeliness, impulsiveness and hyper-reactivity. Day Two: Day Two analyses the gut microbiome to predict blood sugar responses to thousands of different foods and provide personalised nutrition guidance, diagnostic, and therapeutic solutions using artificial intelligence and machine learning. The product has already been used to help people with Type 2 Diabetes control their condition and is being trialled for use in gestational diabetes and pre-diabetes. Orpheus: Orpheus Medical is a technology platform that enables hospitals and health systems to effectively manage their clinical videos organisation-wide and integrate the content in to their existing IT systems. This technology has the potential improve clinicians’ interactions with patients and collaboration amongst healthcare professionals. 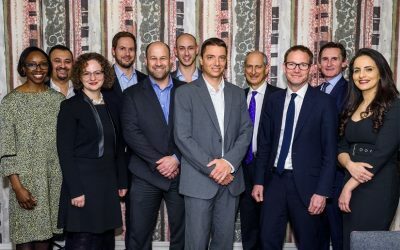 Neurotech Solutions, Day Two and Orpheus Medical were all invited to London as part of the UK Israel Dangoor Health Initiative, a health accelerator aimed at connecting Israeli start-ups in the digital health field with the NHS. The programme is a partnership between DigitalHealth.London, the UK Israel Tech Hub, IBM Alpha Zone, and Dangoor Education. On Thursday 4 April 2019 we hosted the first day of our 2019 cohort of the Digital Pioneer Fellowship. Here are some of our photo highlights from the day.